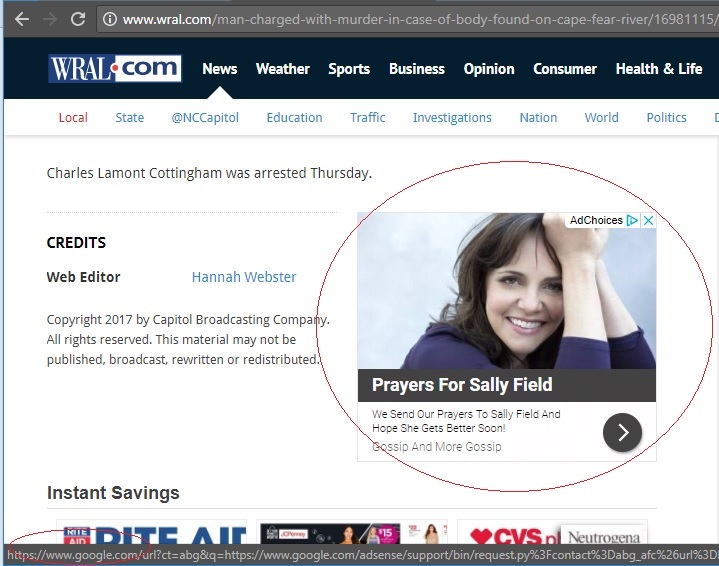 Tonight I headed over to my local news site, WRAL to see what the deceptive ad of the day is. Front and center was a box which said “Prayers for Sally Field”. I figured this would be a weight loss pill scam like is usually there. But, I was wrong, today’s fake website is “Jolique Cream”. Once you click the ad the misleading and deceptive internet marketing begins. Here’s the first page. The page is impersonating the Health-E News website, a legitimate health news service in South Africa. The real Health-E News website is: www.health-e.org.za. The fake site who has stolen their logo is gossipandmoregossip.com. 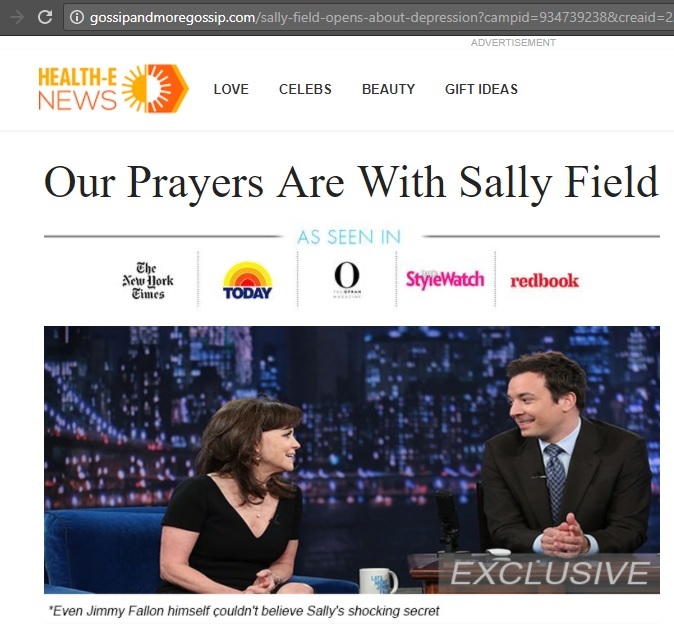 As seen below, the fake site has a headline which reads “Our Prayers Are With Sally Field”, then there is a random “as seen in” section which lists The New York Times, Today, O, StyleWatch and redbook. The fake page goes on to have all sorts of quotes from Julia Roberts, Kate Winslet, Anne Hathaway, Meryl Streep and Melanie Grifith. Snopes has a page breaking down fake celebrity skin care ads here. Of course, this before and after photo is fake. Sally Field isn’t Gidget any more but she is still is a very attractive woman and it’s a shame someone would use her pictures to push a cream. People think they’re getting free skin cream, and that shipping and handling is $5. But way below it there is a tiny word which says “terms”. Of course, 99.999% of people aren’t going to see this or click it. But, if you do, you will see a large page which says you will now be charged $89.97 every month. I’m no doctor but I’m pretty sure there are no magical skin creams. However, Amazon does list their top sellers here which can assist with dark circles, pore cleansing and more. Here you can find legitimate reviews by verified purchasers of the product. 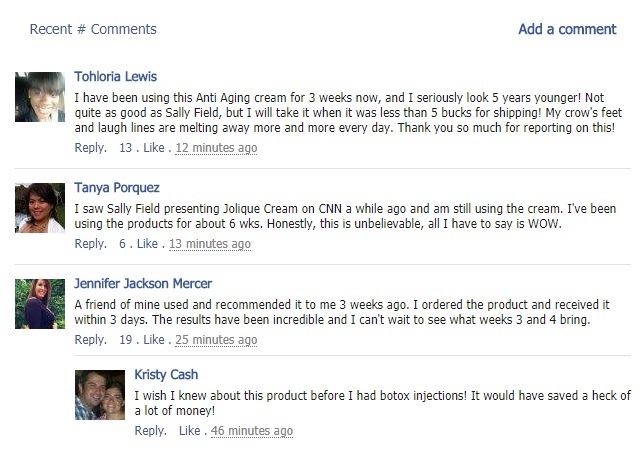 Some creams have over 11,000 reviews. Feel free to click my affiliate link above to review the skin creams. Do you feel like victim? Did you unknowingly subscribe to a $90/mo service? Which website directed you to the “fake” site? Have you used any of the Amazon creams? 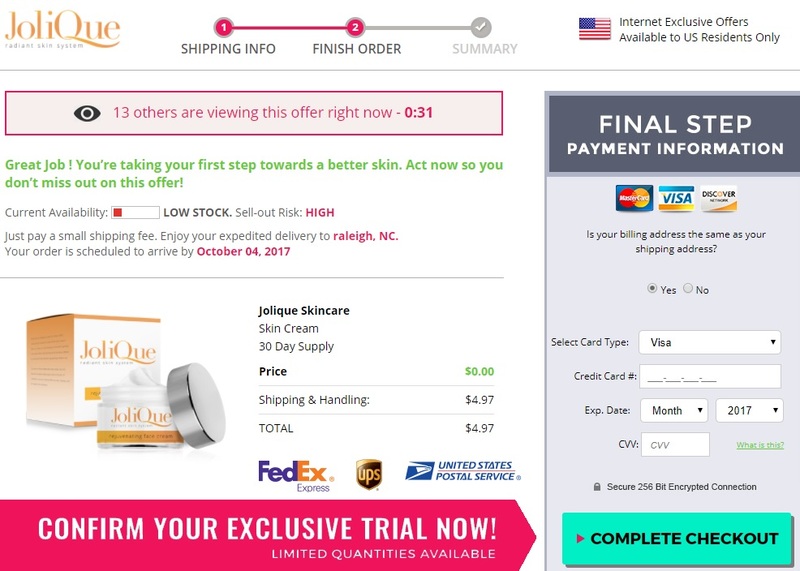 I thought I was getting a “free sample” of a Sally Field skincare product gor only $4.97 shipping but now realize I was scammed. What can I do to stop this scammer from ripping me off any further? How do I stop scammers from charging my bank account $89.97 every month? IF you ordered this via jolique.net it looks like you can contact them via 1-844-505-3954 or by emailing support@illuminasd.com. You can call th it 800 number and tell you hem you want to cancel. They will try to talk you into continuing at a cheaper charge. Just stand your ground and be adamant about cancelling. Yeah u may also to contact your credit card companies and have them flag your account to to decline any charges to that company. You do realize that the before and after pics of Sally Field are fake, right? The “after” pic is from many years ago. Since their advertising is not just deceptive, but fake, the contract between the company and you should be null and void. They got you to ‘sign up’ under false promises.